Our range of products include LED Bay Lights such as Round LED Bay Lights, 100W Round LED Bay Lights, 150W Round LED Bay Lights, LED High Bay Light and 150W LED High Bay Light. 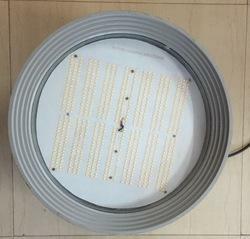 Our customers can avail from us an excellent quality range of 100W Round LED Bay Lights. 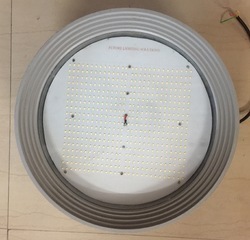 With an aim to cement our reputation in this domain, we are occupied in manufacturing, trading, wholesaling, distributing and supplying 150W Round LED Bay Lights. We bring forth for our clients an extensive assortment of high quality LED High Bay Light. The offered bay light is checked in terms of quality in order to deliver a flawless range. Offered bay light is manufactured by superior grade material and contemporary techniques in compliance with market standards. This bay light is available in several specifications as per the requirements of clients.